We chose to call our hostel Agorà to remember the value and significance of those places of ancient Greek cities, for being able to create, along with our guests, a location of interaction between different people and cultures. 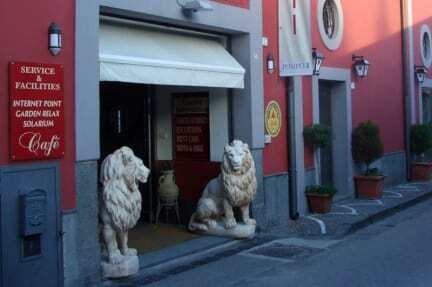 The hostel is located in the centre of the modern Pompeii, close to the Amphitheatre Gate of the Pompeii Ruins, the train stations, the Sanctuary, the principal shops, ect. 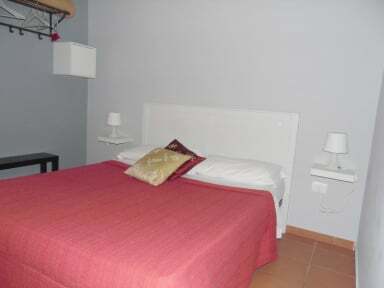 The Agorà Hostel Deluxe is a newly formed property with the target of offer its guests a homey atmosphere. The aim is in fact to provide a varied offer for families and young travelers. The hostel is pet friendly and you'll can meet our cat, Angel. Cancellation policy: 96h /4 days before arrival. In case of a late cancellation or No Show, you will be charged the total amount of your stay. Curfew for the terrace and for the common room. Perfect location for seeing the ruins of Pompeii and easy enough to get to Vesuvius, Herculaneum and the Amalfi Coast. The owners were AMAZING, always greeting me by my name when I got back and EXTREMELY helpful with working out the best things to do each day and the easiest way to do it. Incredible! The owners were beyond nice and helpful. The location was perfect. The price was awesome. The cat was adorable. I wouldn't stay anywhere else if I came to Pompei again. The couple who run the Hostel are polite, intelligent and the sort of people you would like to have over for dinner. The location is perfect and Pompeii is more than just an archaeological park. Highly Recommended. Staff went above and beyond to help us decide what to do with our time, and we're so friendly. Would be fantastic if they had a kitchen though, plenty of cheap places to eat nearby however. I could not have asked for more knowledgeable and kind hosts. Having archeologists help you map out your plan to Pompei is an extra treat. The 6 bed dorm was comfortable and the courtyard is lovely. Thank you for a great stay!! Fabulous hostel! Absolutely wonderful couple running the hostel. They were super friendly and helpful with everything. The dorm was nice. The bunks are a little wobbly, and the top bunk is a bit awkward to climb onto with a bar in the way. But comfortable. Own shelf and power point. Nice toilets and shower for the dorm. Lovely inside and outside communal areas.